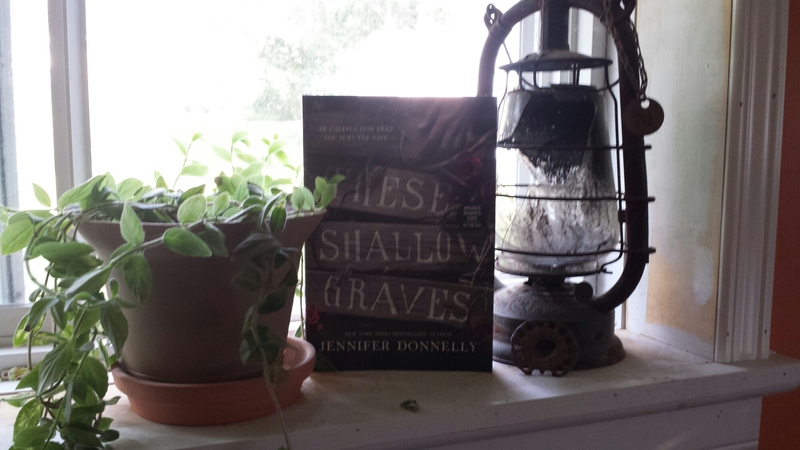 I have recently received some advanced reader copies from Penguin Random House and I just wanted to share them with you!! Get ready! Prepare yourself! They all seem super amazing!! The anticipate publish date is November 24th, 2015! The anticipated publish date for this book is October 27th 2015. This adult literature historical thriller sounds like it will be likely to keep me up at night! 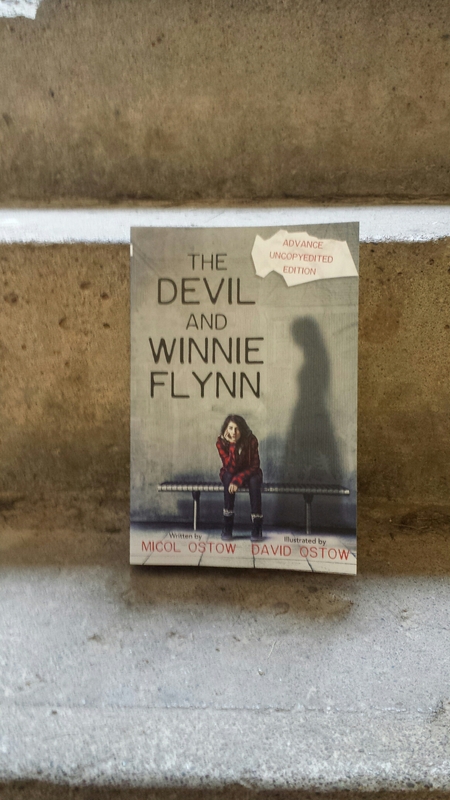 This crime novel is said to include death, violence, secrets, revenge and romance! This story also deals with the double standards between the sexes. What would you give up to follow your heart? I can’t wait to read this dark, haunting and inevitably memorable book! Told in a mixture of text and black-and-white illustration, this is the perfect book for any kid who’s ever dreamed of starring in his or her own comic book or video game. And stay tuned for the sequel, coming in Summer 2016! 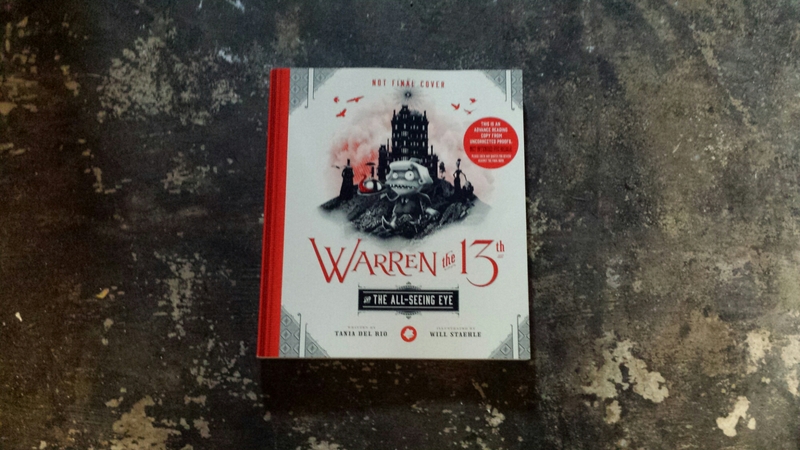 The anticipated publish date is October 13th 2015! 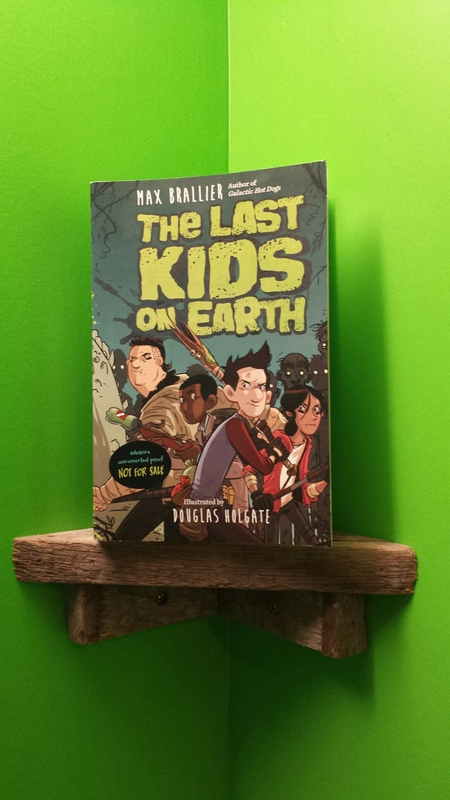 With all of the hype of Zombies and apocalypse, and with the growing popularity of graphic novels, this middle grade story is sure to please!! I also suspect that anyone who enjoys video games and super heroes will enjoy this book. It’s just a feeling I have. What an eclectic mix of themes!! I’m really interested to see how this one unfolds! Suicide, abandonment, paranormal abilities, jersey devils, and reality TV. Oh my!! This book should be interesting to say the least!! So these are the books I have recieved from Penguin Random House! Im glad I could share them with you! I can’t wait to let you know what I think of these amazing stories after I have read them! Keep your eyes peeled for my reviews!! Warning! This notebook is filled with monsters. Alexander Bopp has just moved to Stermont and already he thinks it is one creepy town. First, he finds a notebook filled with monster drawings. Then he starts seeing balloon goons – those arm-waving balloon guys – all over town. Are they after him? And what’s really in that notebook? Alexander is about to find out! I didn’t know what to expect from this book. When I picked it up from my bookstore, all I knew was it was popular with 6-8 year olds who were just starting chapter books, so I thought I’d give it a go. Think you have it rough? Poor Alexander Bopp just can’t catch a break on his first day of school in a new town. The day just keeps getting weirder and weirder! This book is about not so scary things, like wacky wavy balloon guys, turning out to be scary! finding the courage to do what’s right and finding friends in unlikely people, like the school bully. Nothing is what it seems! 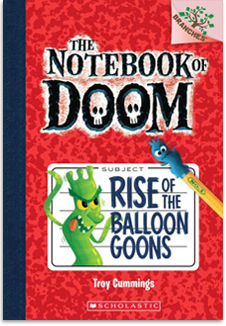 I can tell you that if your child likes goofy, silly, kind of creepy adventure mysteries, they will enjoy the Notebook of Doom! At the end of the first book, some of my questions still aren’t answered, the mystery continues, and I can’t wait to read the rest of the series! A great beginner chapter book!